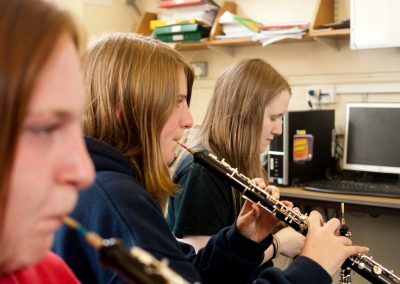 Providing an exceptional opportunity for young people who have learnt to play an instrument to enjoy making music together. 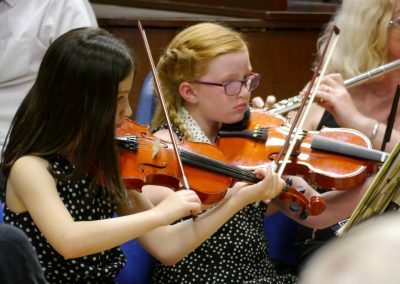 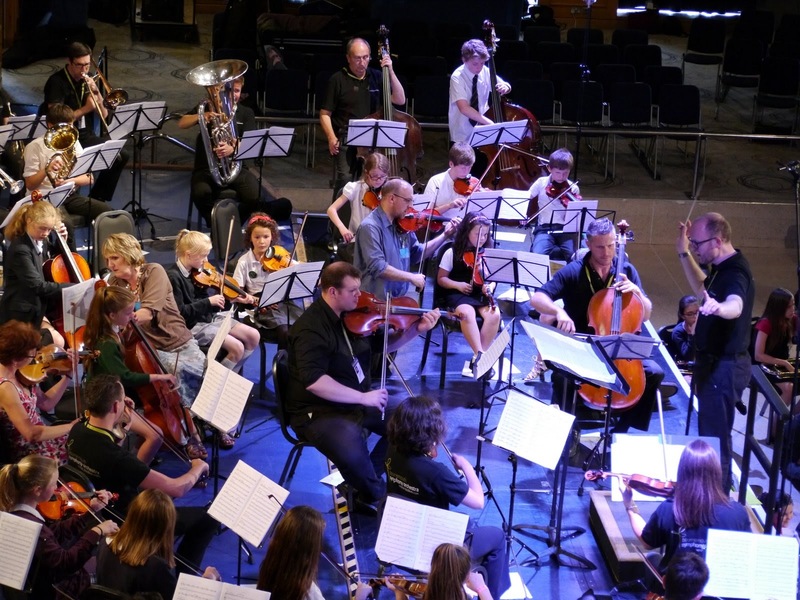 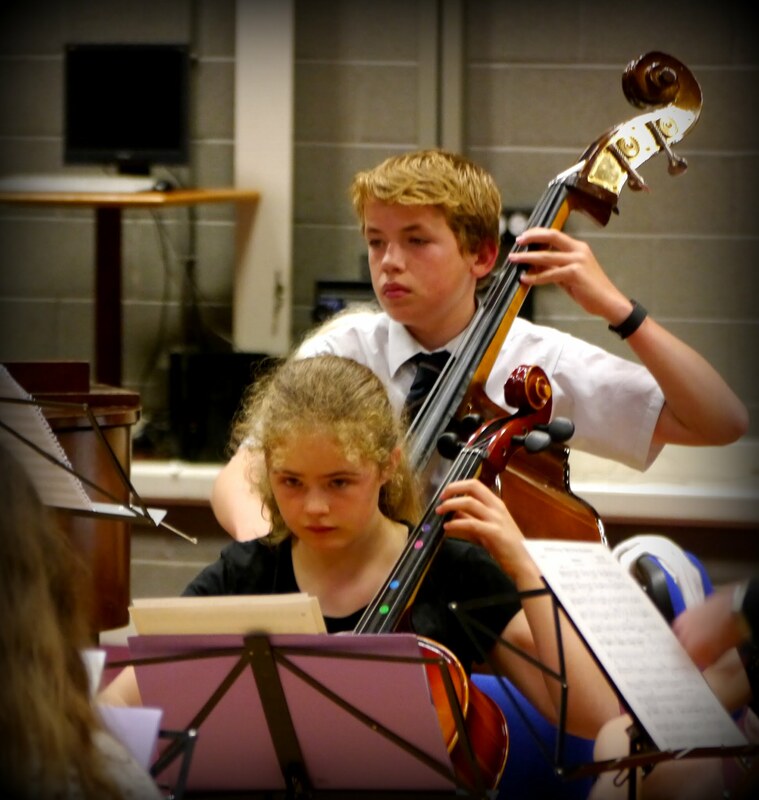 Young musicians work together to create music which is exciting, complex and satisfying. 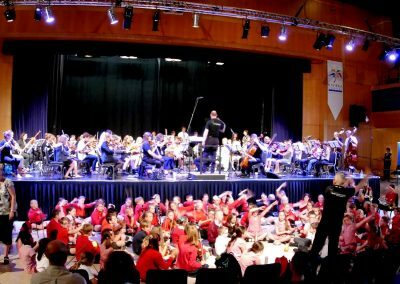 Concerts are held each term in large venues such as the Centenary Hall, Torquay, Ariel Centre Totnes, and the Riviera International Centre. 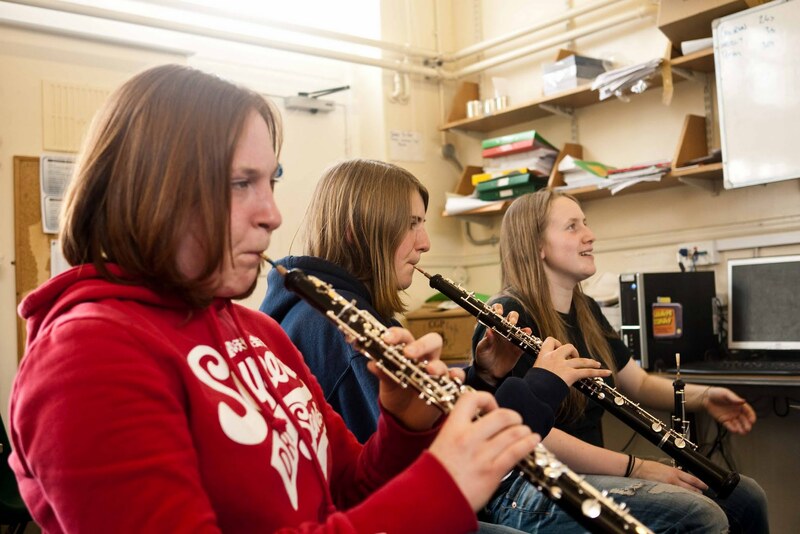 Want more information, or would like to talk to someone involved with the music centre? 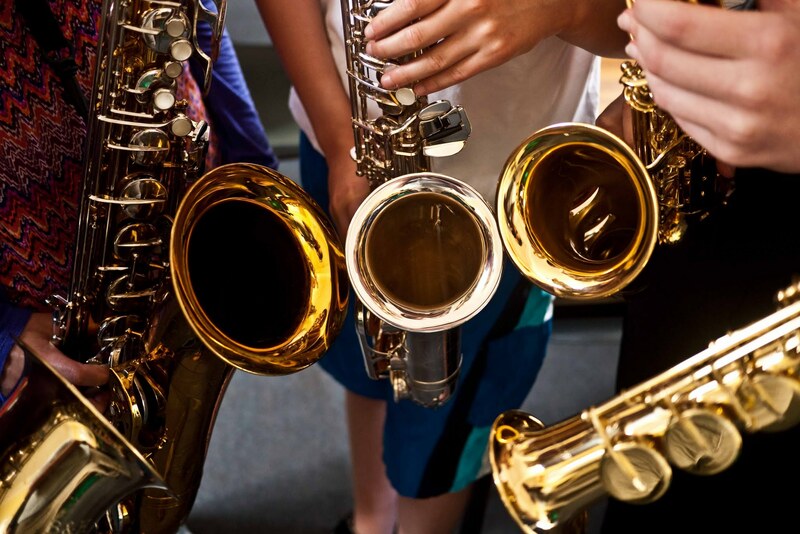 We’re here to answer your questions. 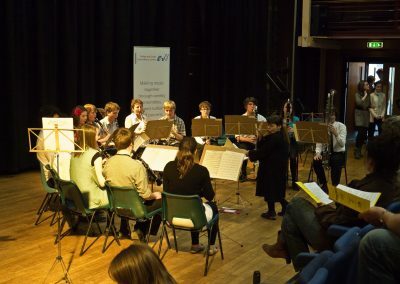 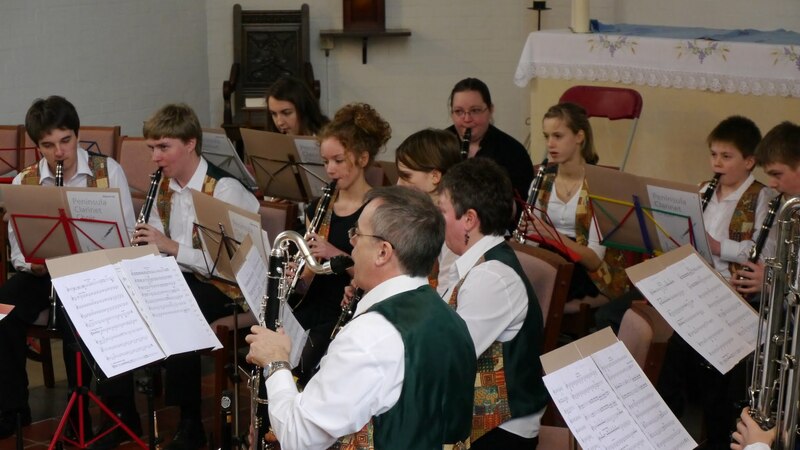 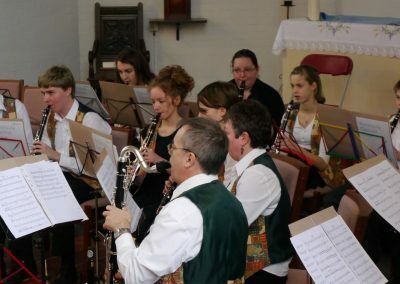 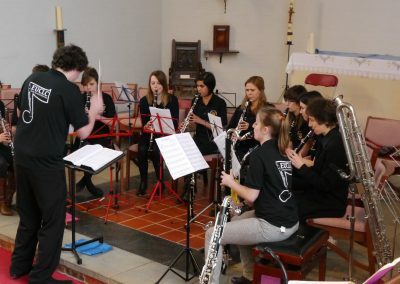 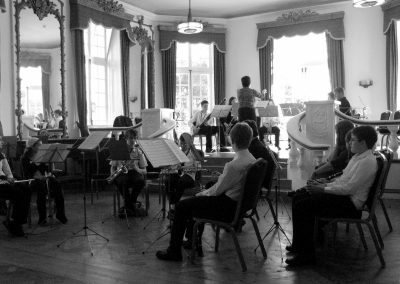 Concerts are held each term in Torbay and South Devon. 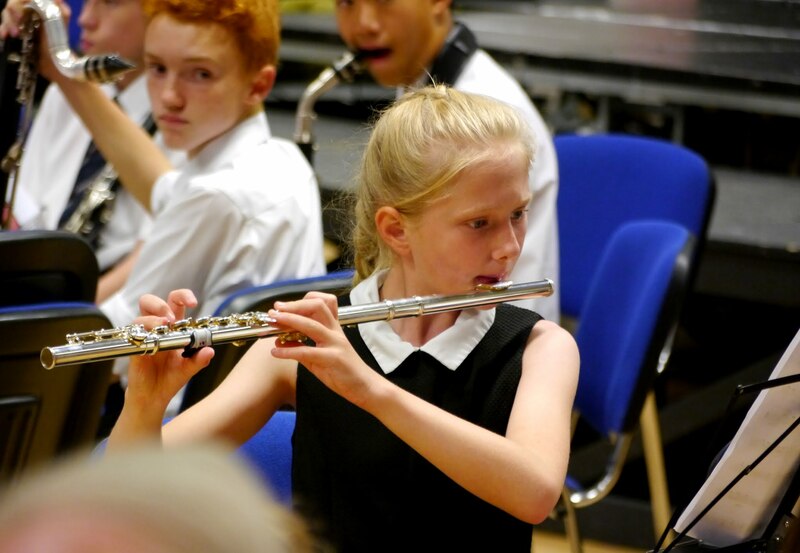 Read the latest newsletter from TSDMC, including rehearsal dates and concert venues. What we do, who we are, our policies and funding. 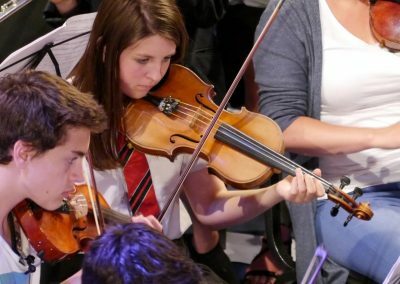 Become a Friend of the Music Centre and help us. 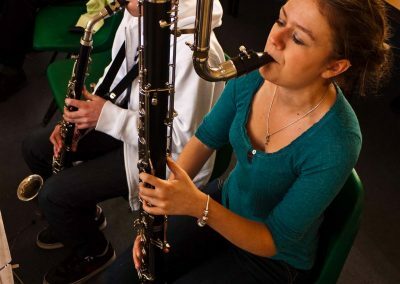 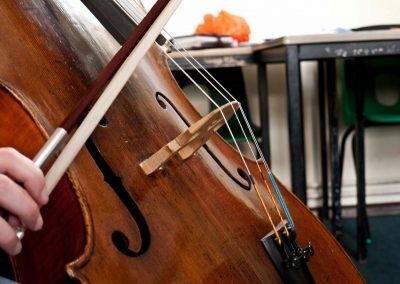 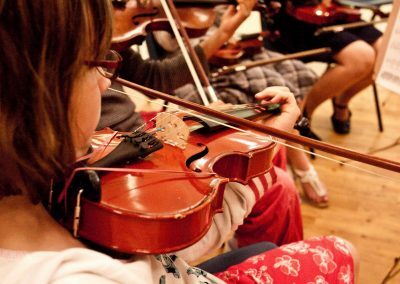 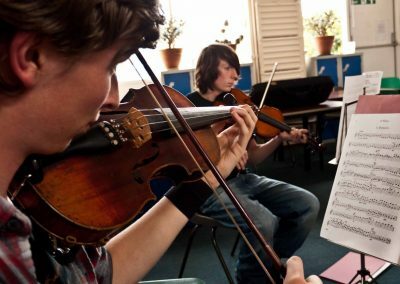 Any young person who lives in South Devon or Torbay and is learning a suitable instrument can join the music centre. 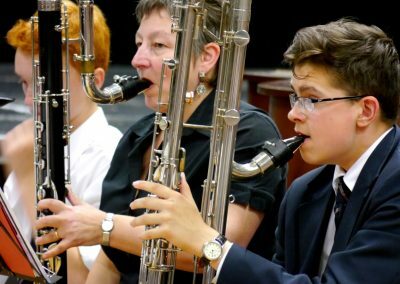 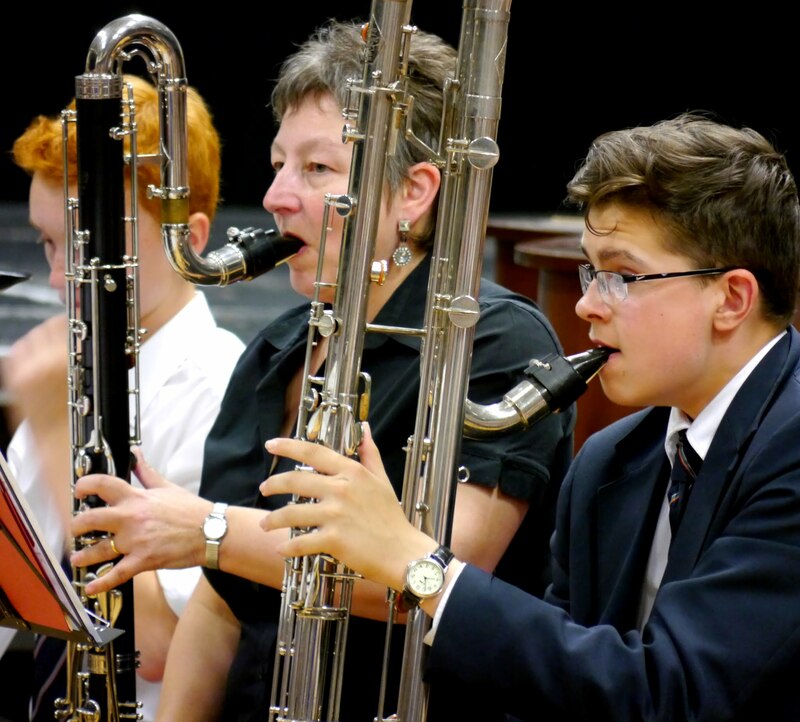 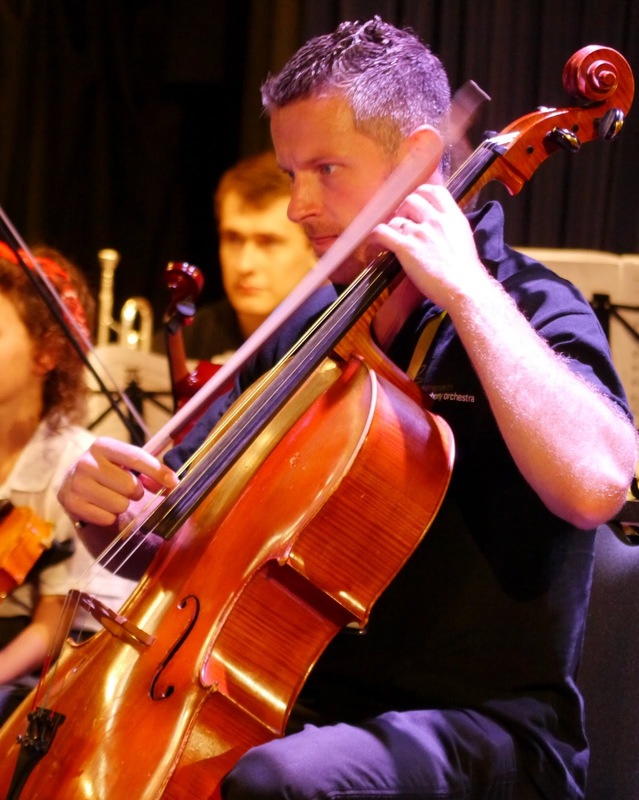 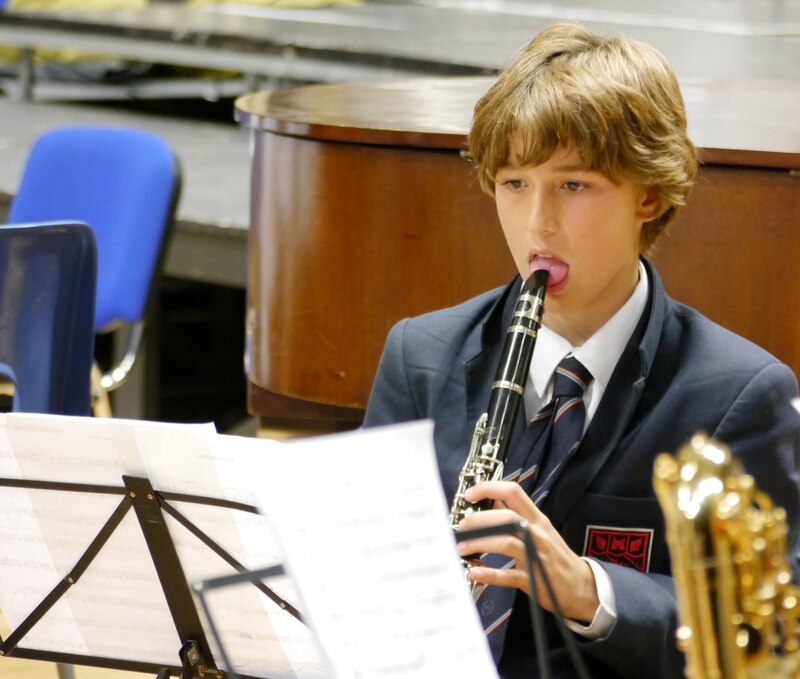 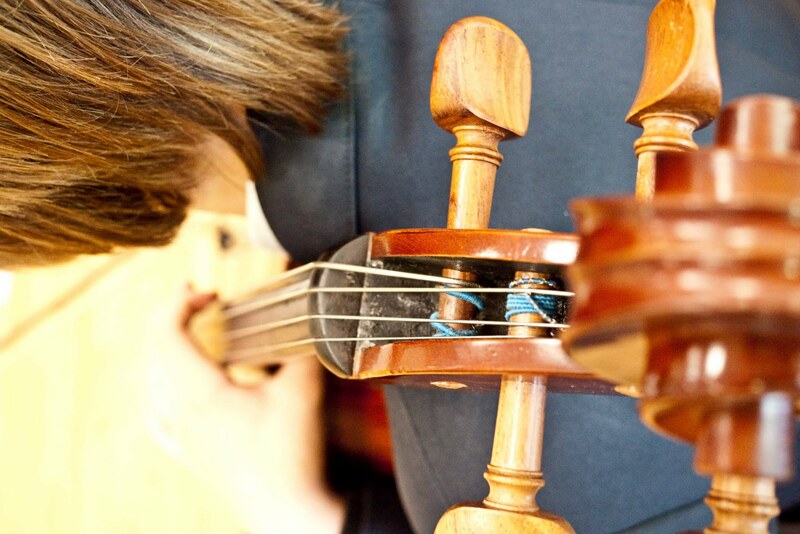 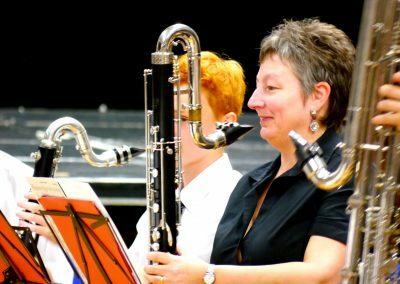 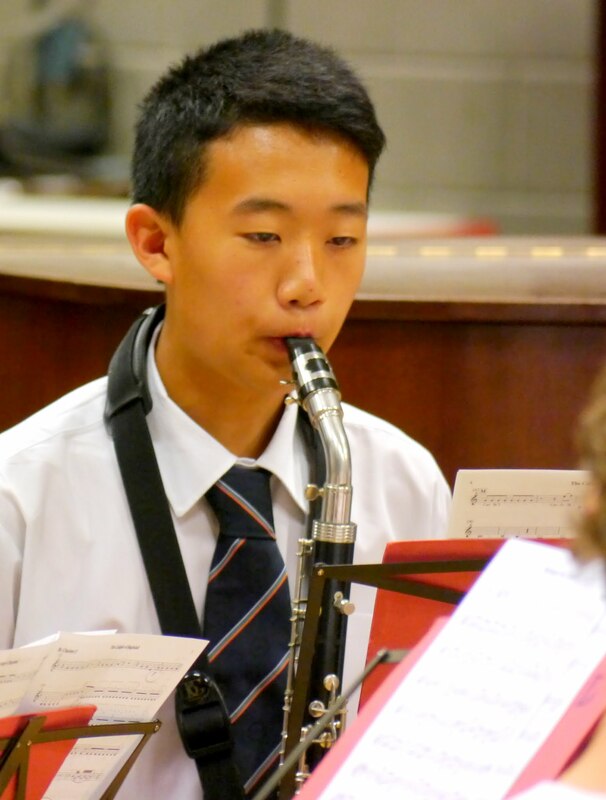 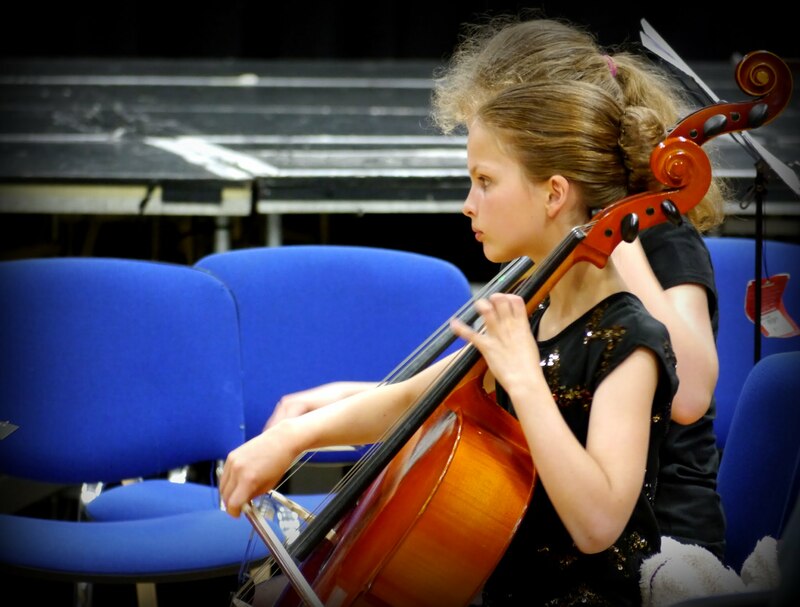 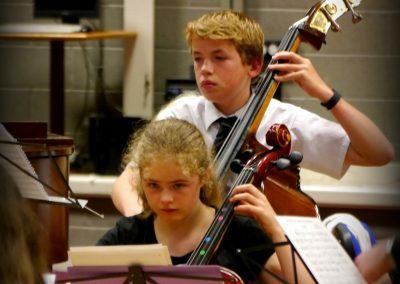 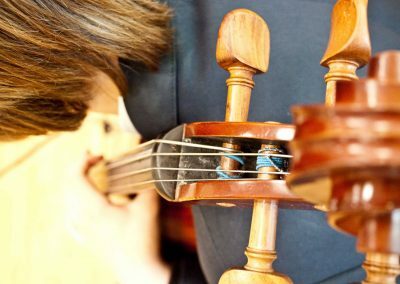 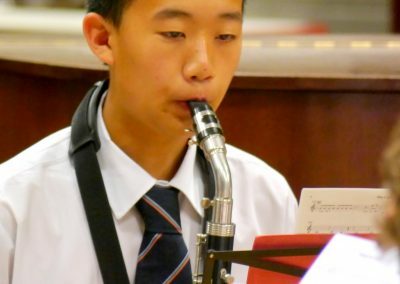 All young musicians who have attained a reasonable standard benefit from – and enjoy! 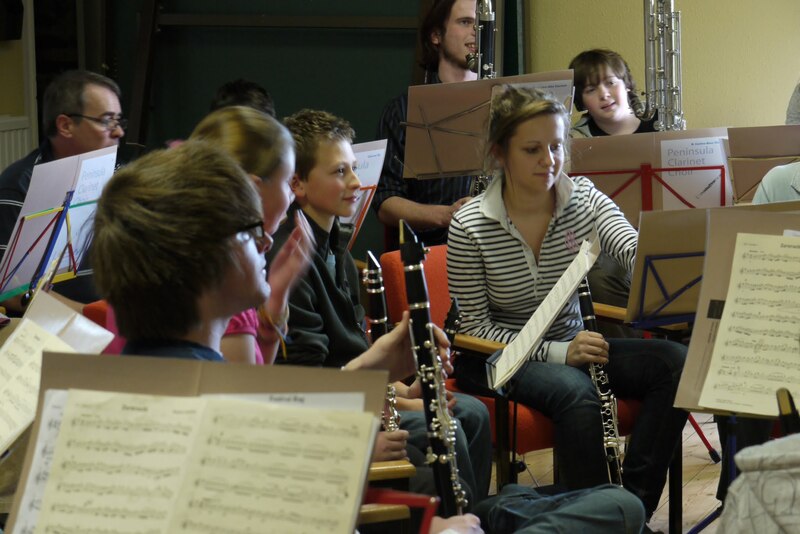 – making music with others. A small fee is payable each term. 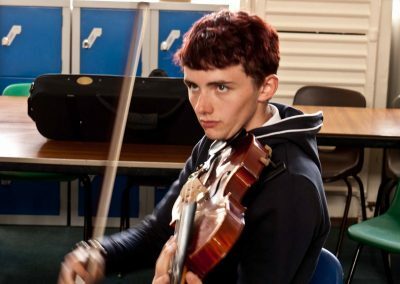 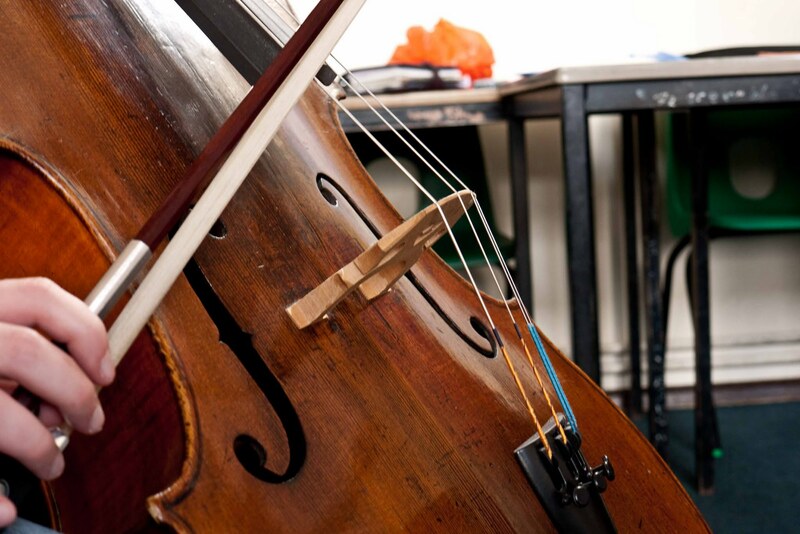 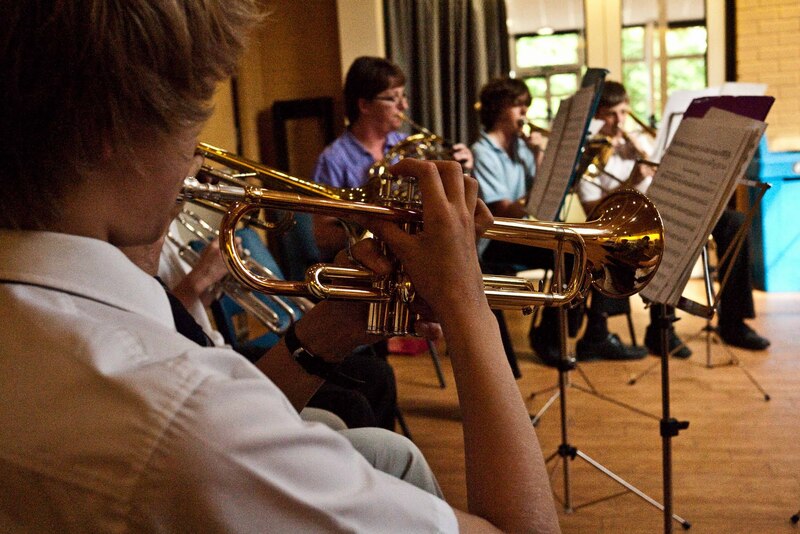 We provide an opportunity for young people who have learnt to play an instrument to enjoy making music together. 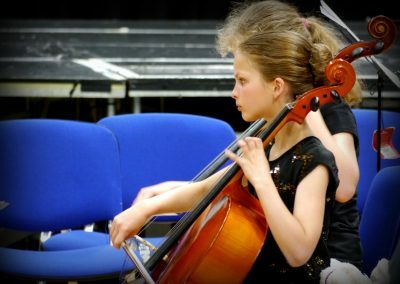 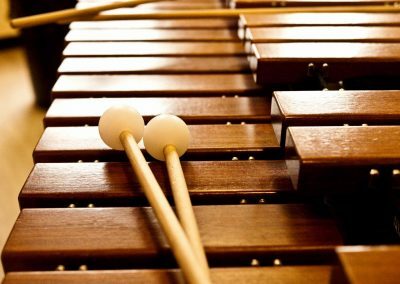 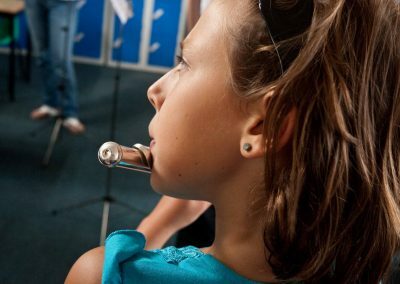 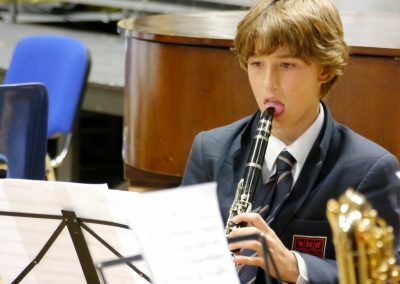 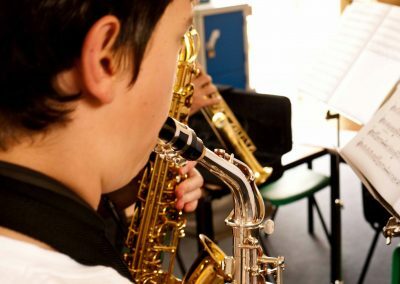 We encourage young musicians to enjoy their instruments and improve their musical and social skills by playing together. 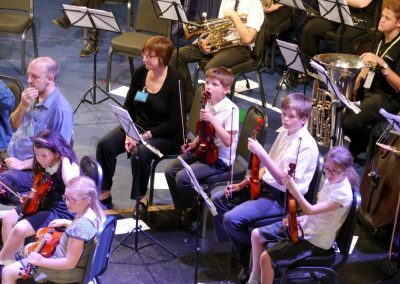 Orchestras, bands and ensembles are led by experienced musicians and there are opportunities to play in concerts as well as weekly rehearsals. 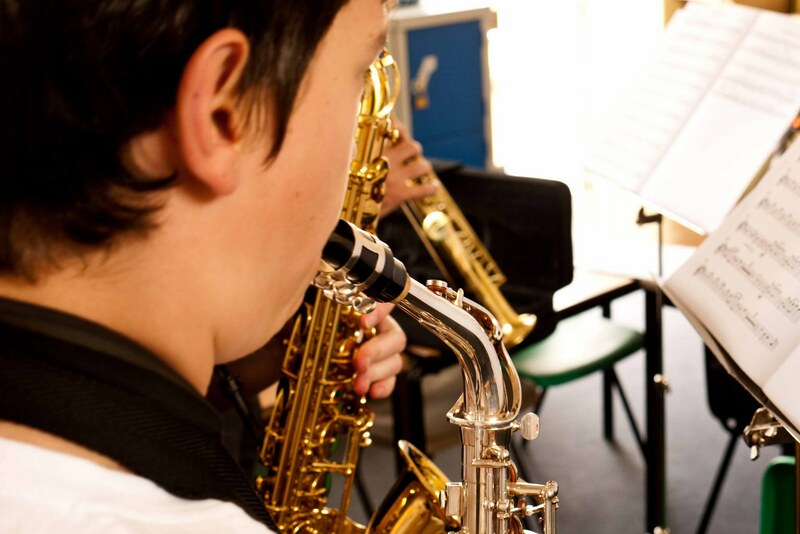 There are groups for players of all standards and all ages. 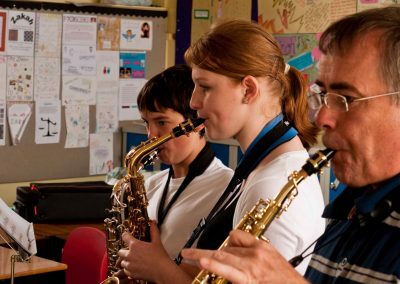 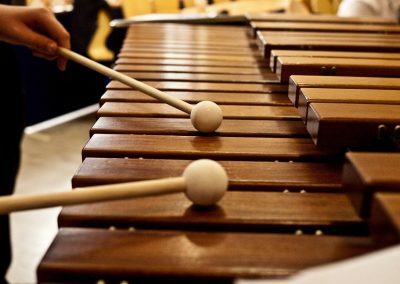 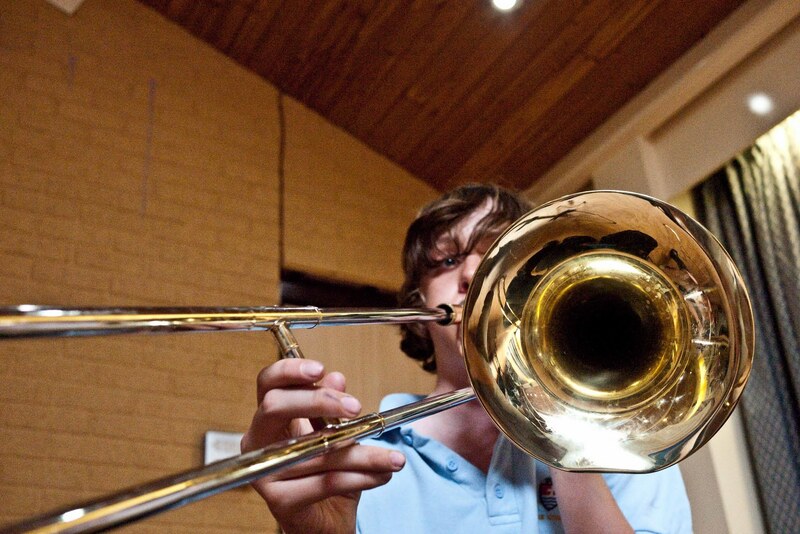 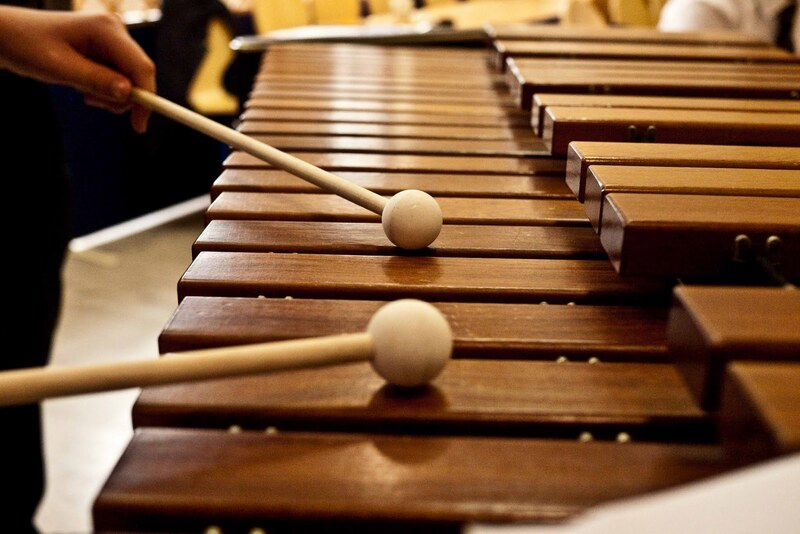 Many young people learn to play a musical instrument with teachers in school or at home. 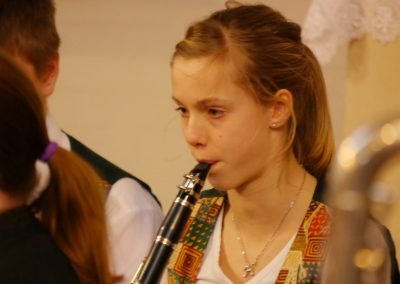 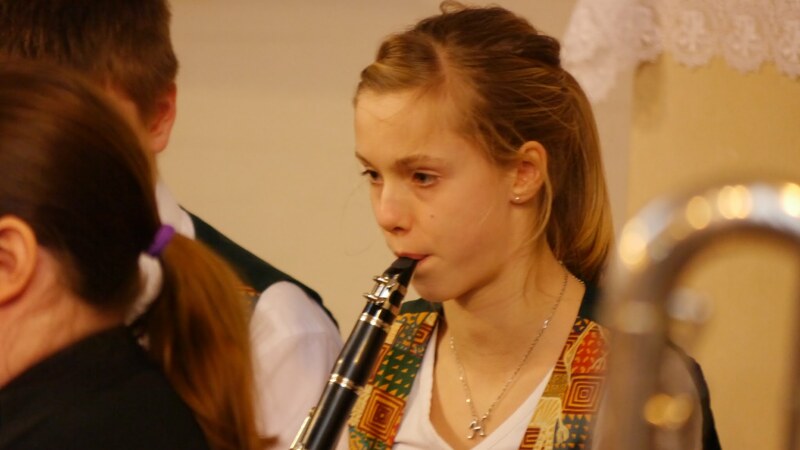 The young musicians learn to understand and appreciate music, to play their instruments, and give solo performances. 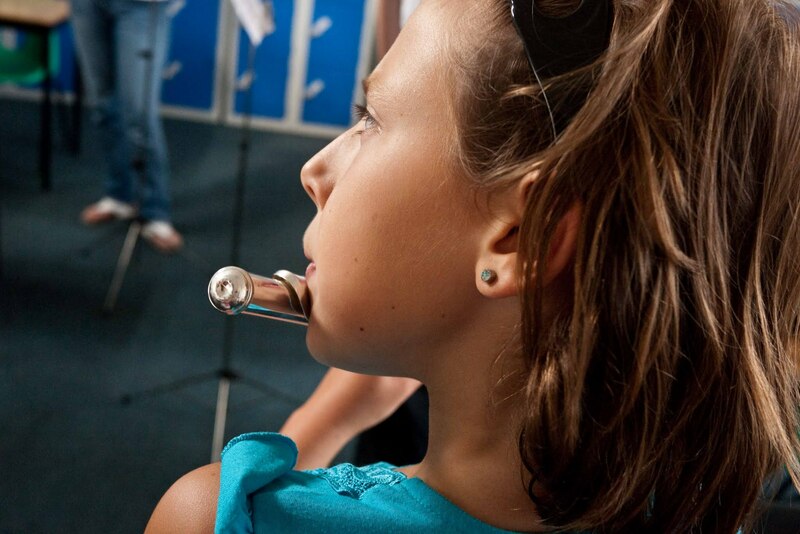 A high standard is often attained. 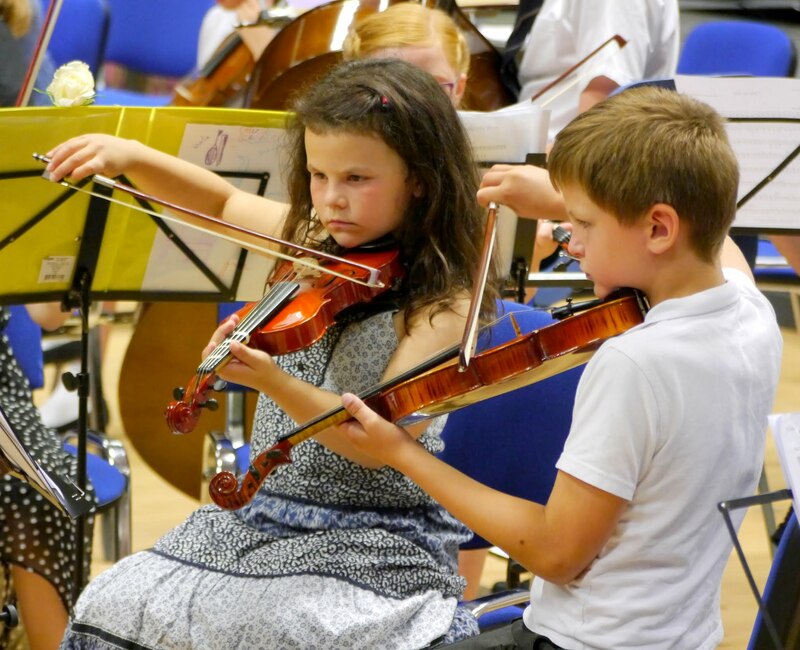 These are important achievements but there is a further element to music-making: playing together. Musicians work together to create music which is exciting, complex and satisfying. 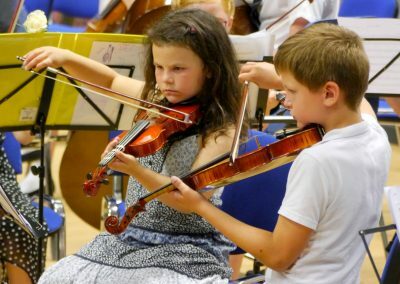 A range of new skills are required: part-playing, ensemble, co-operation and listening to others. 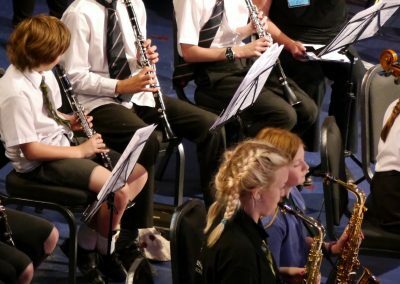 It is not always possible to provide this experience in school so the Music Centre is an important part of a young musician’s education. 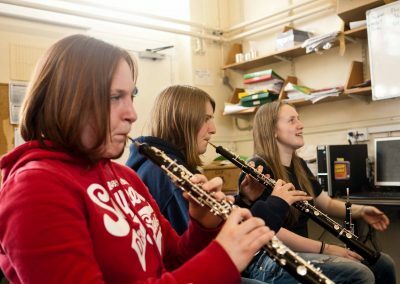 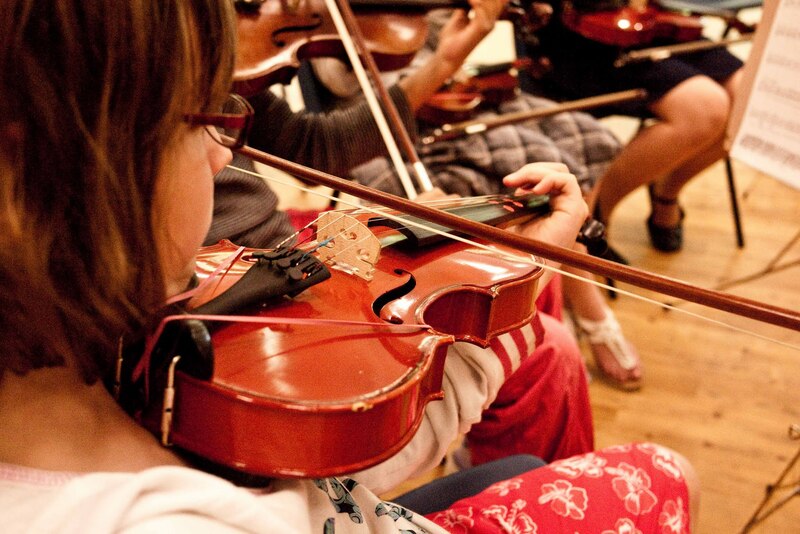 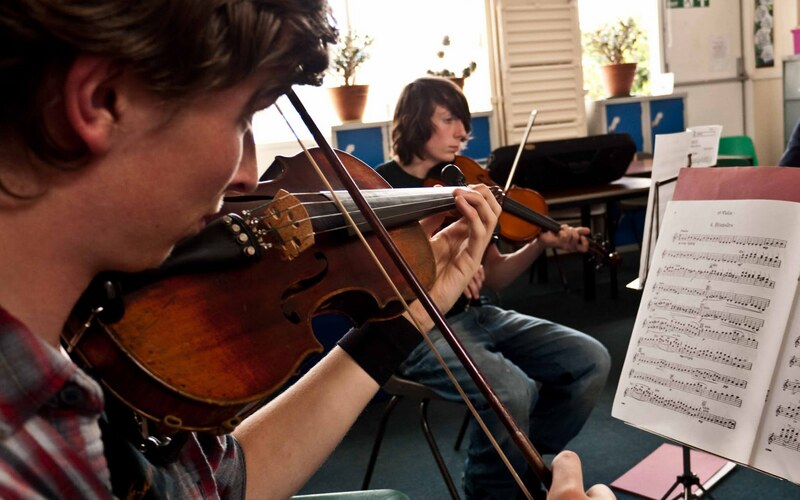 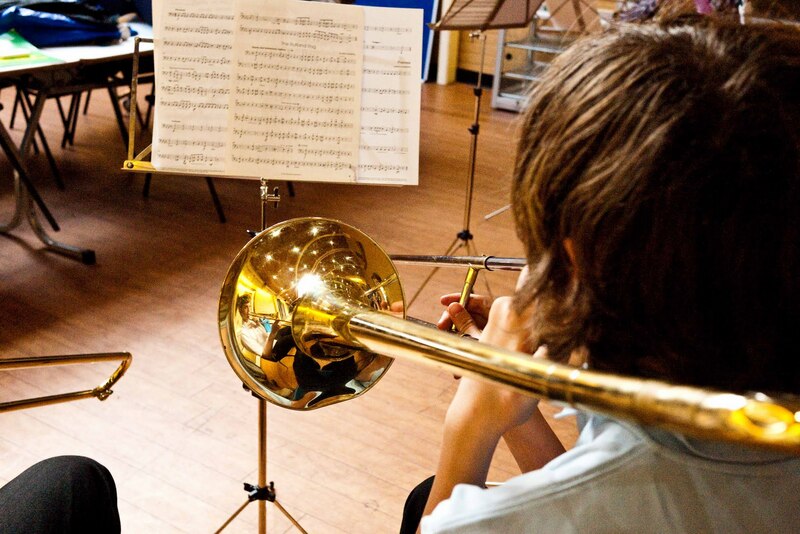 Torbay and South Devon Music Centre meets weekly after school on Fridays during term times. 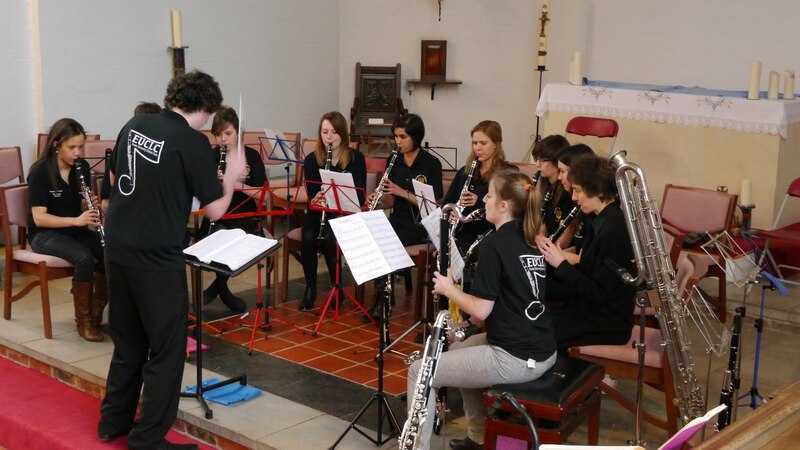 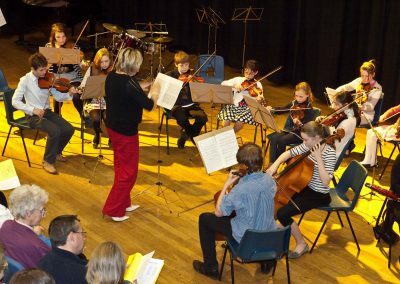 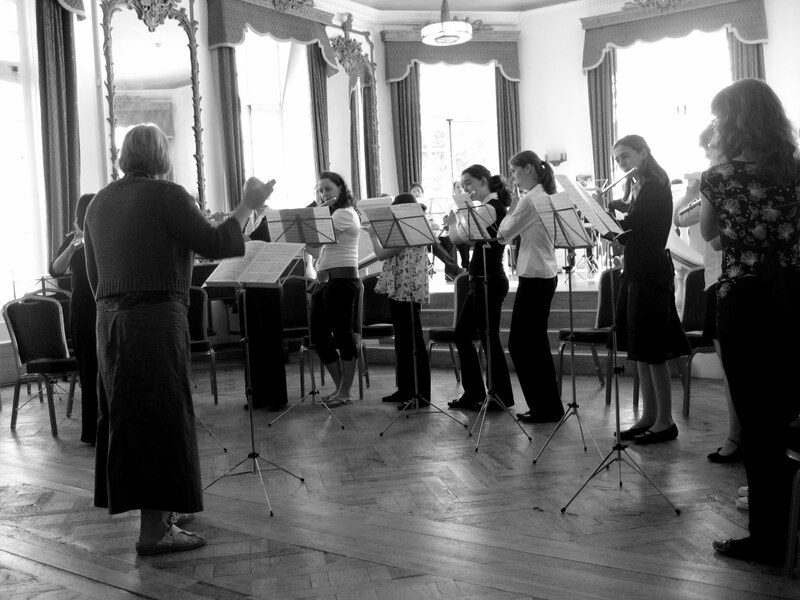 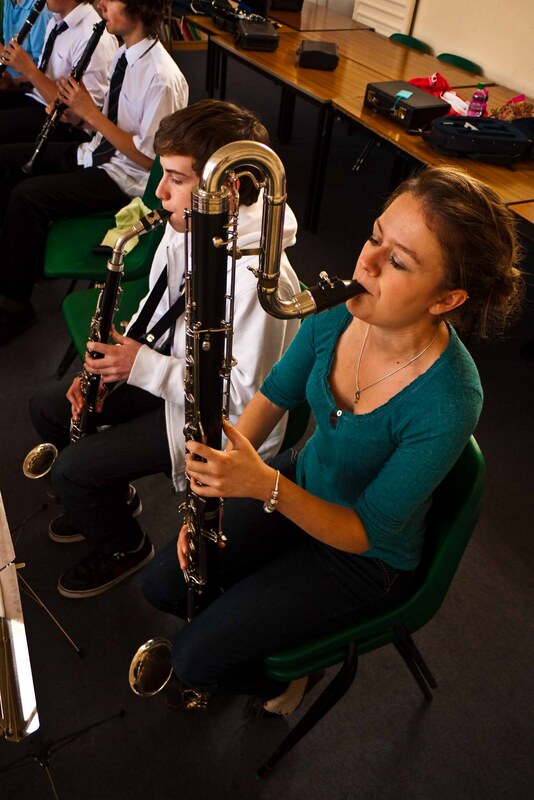 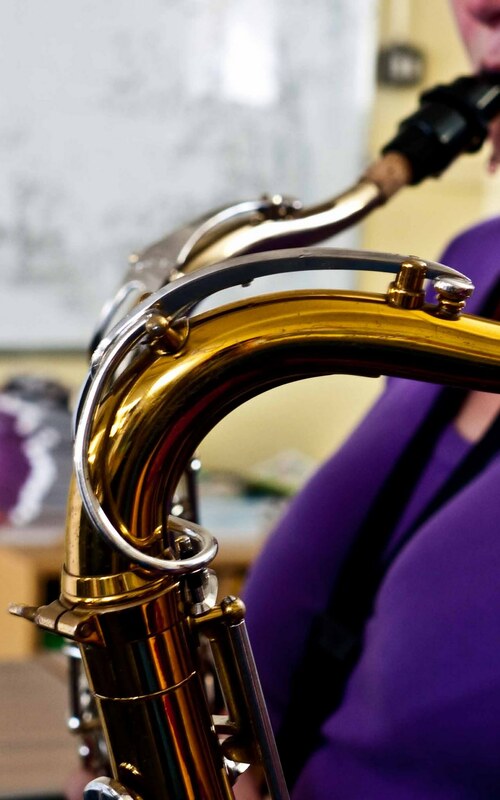 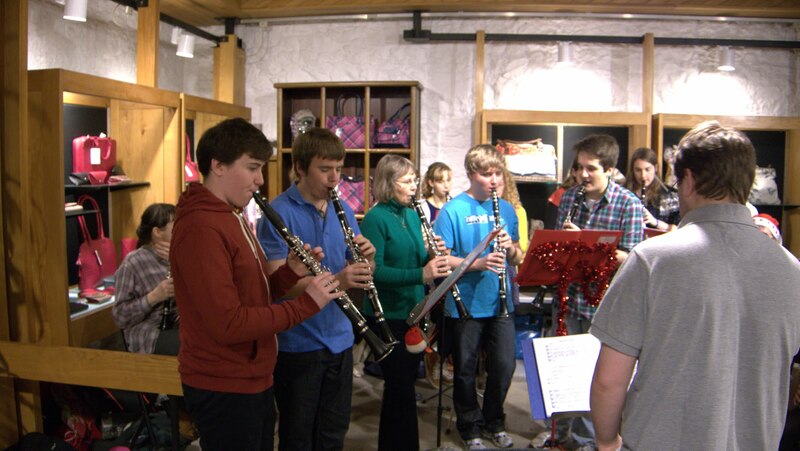 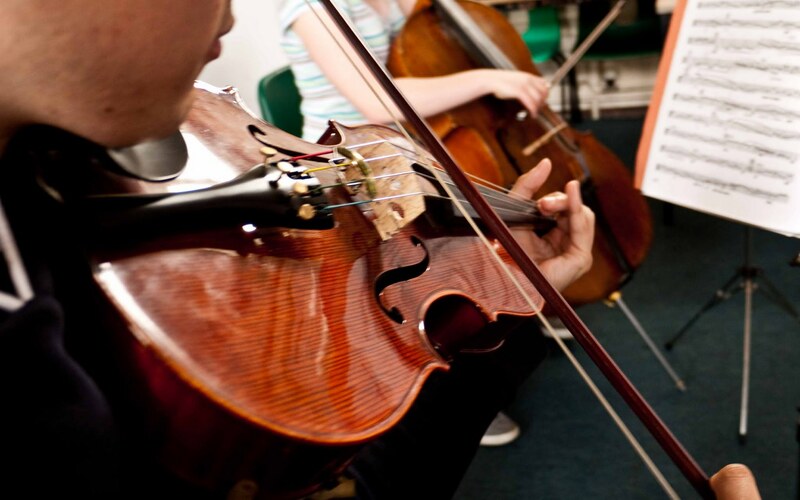 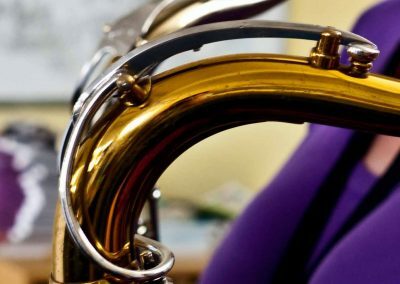 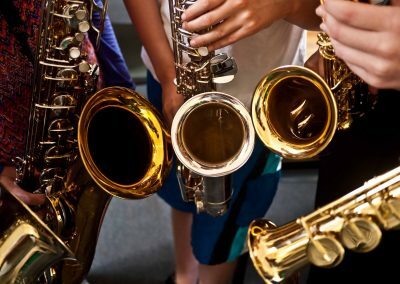 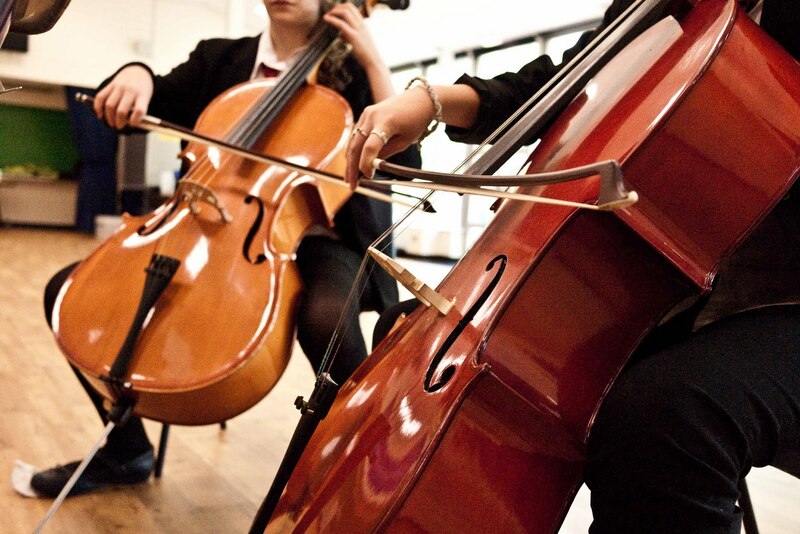 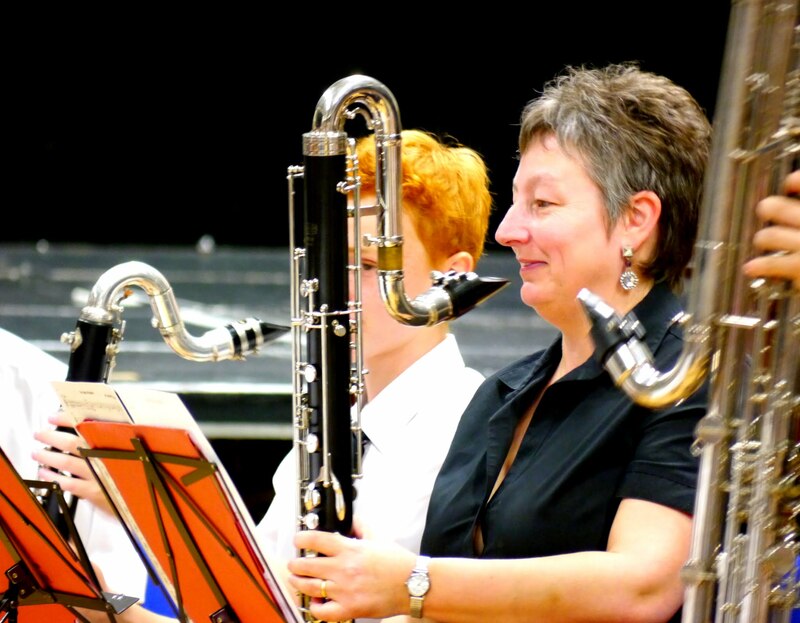 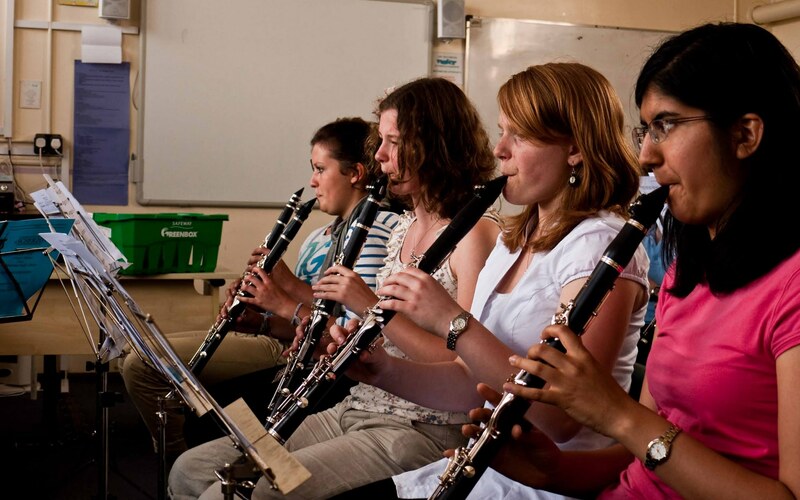 Each student joins and rehearses with up to two groups suited to their instrument and skill. 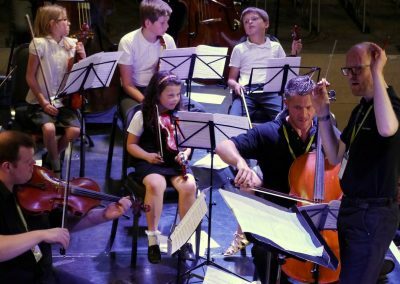 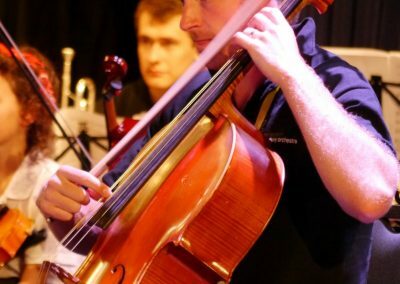 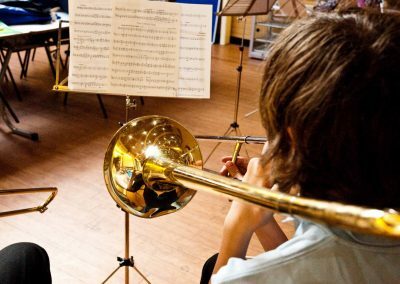 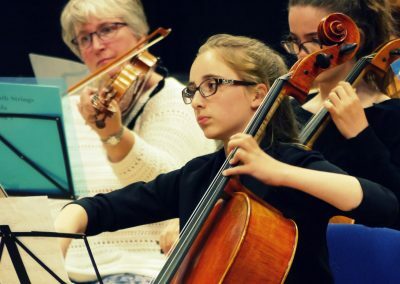 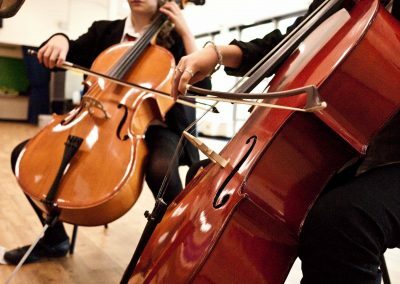 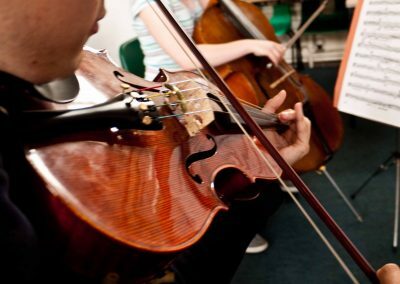 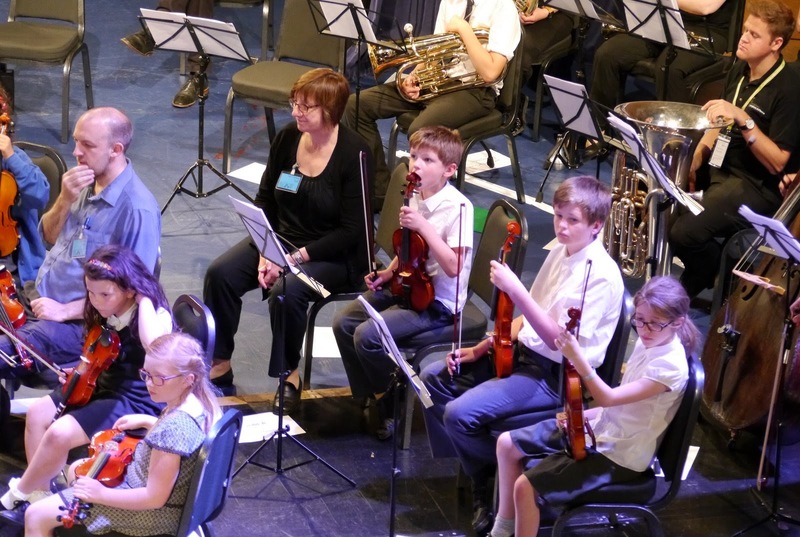 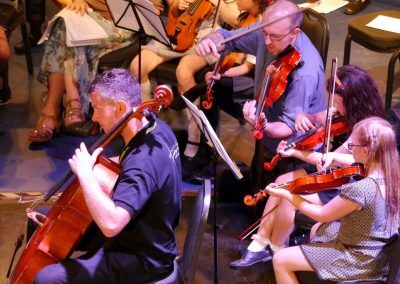 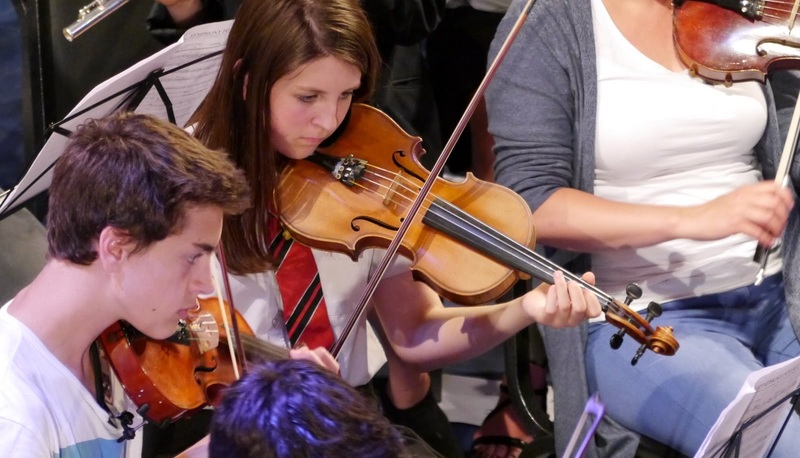 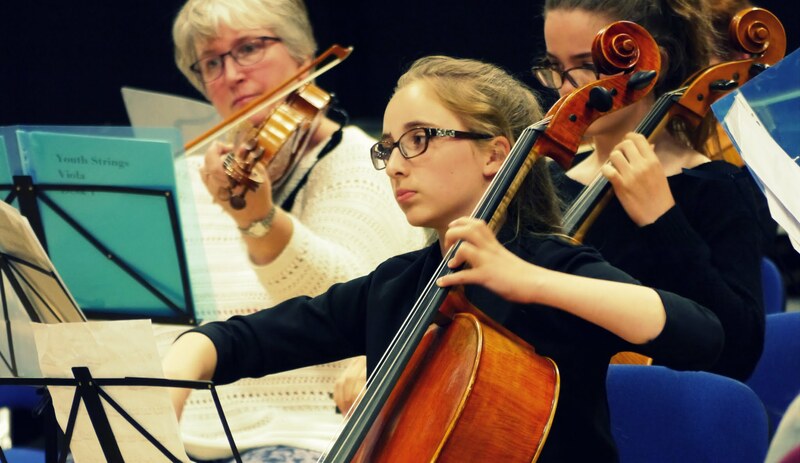 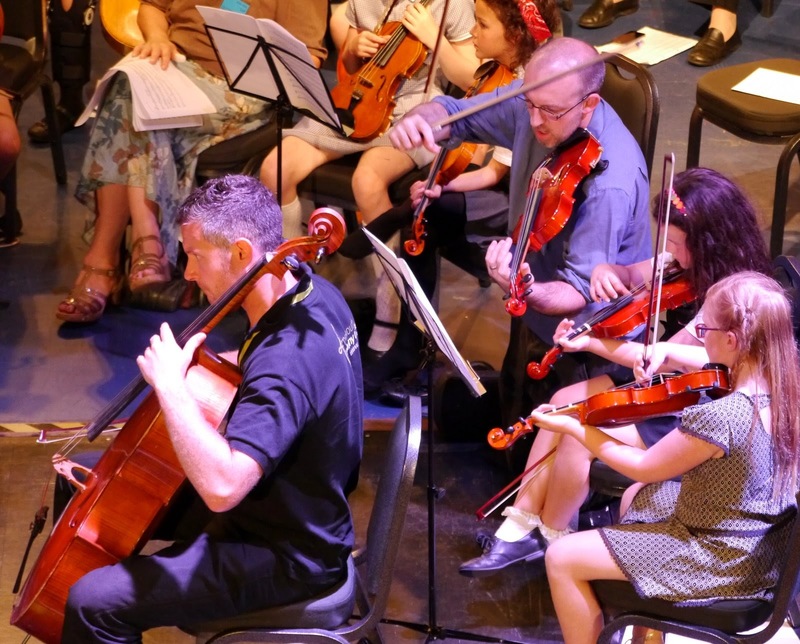 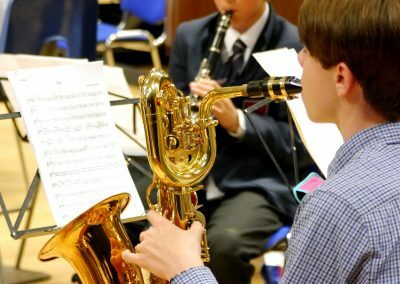 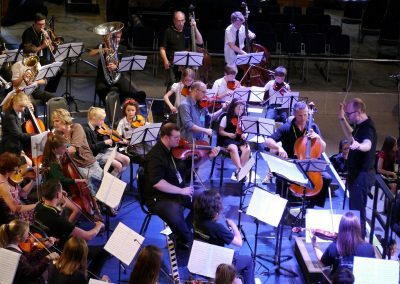 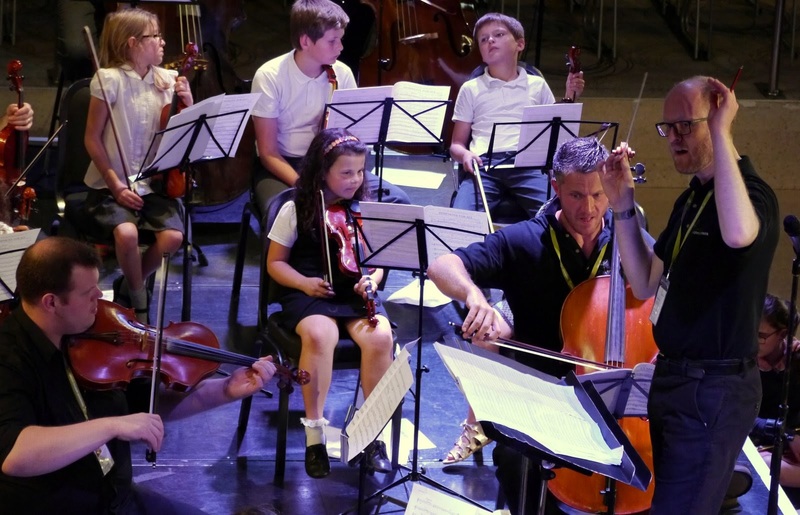 The music centres includes a wide range of orchestras, bands and ensembles covering all types of music and a wide range of skills. 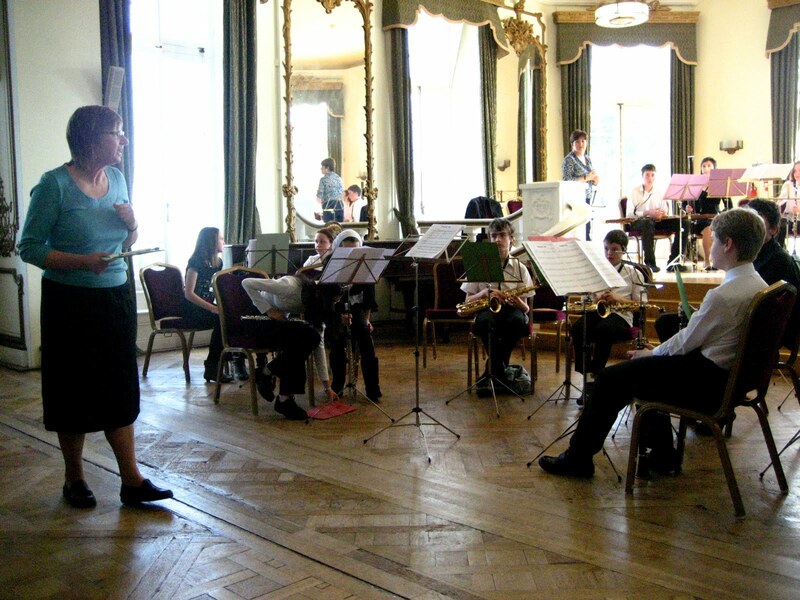 Each group is led by an experienced director. 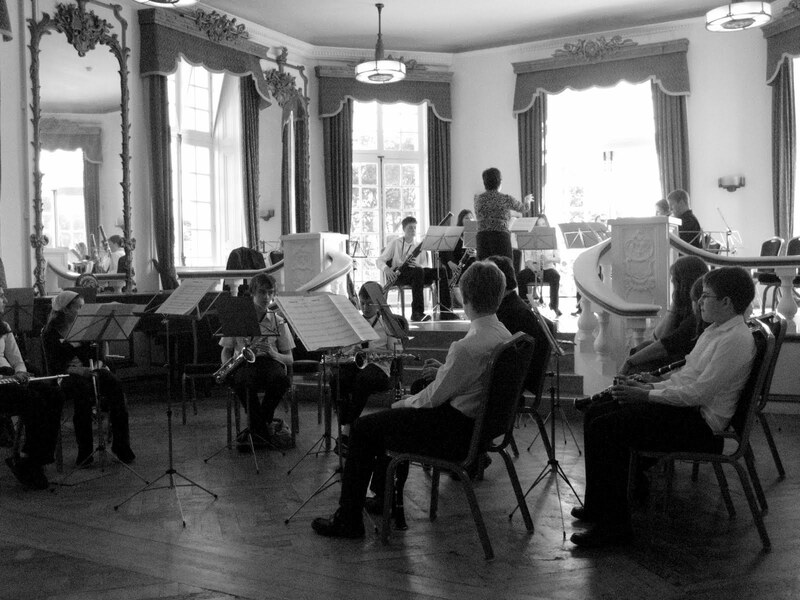 Concerts are held each term in venues such as Oldway Mansion Paignton, Torquay Town Hall and KEVICC Totnes. 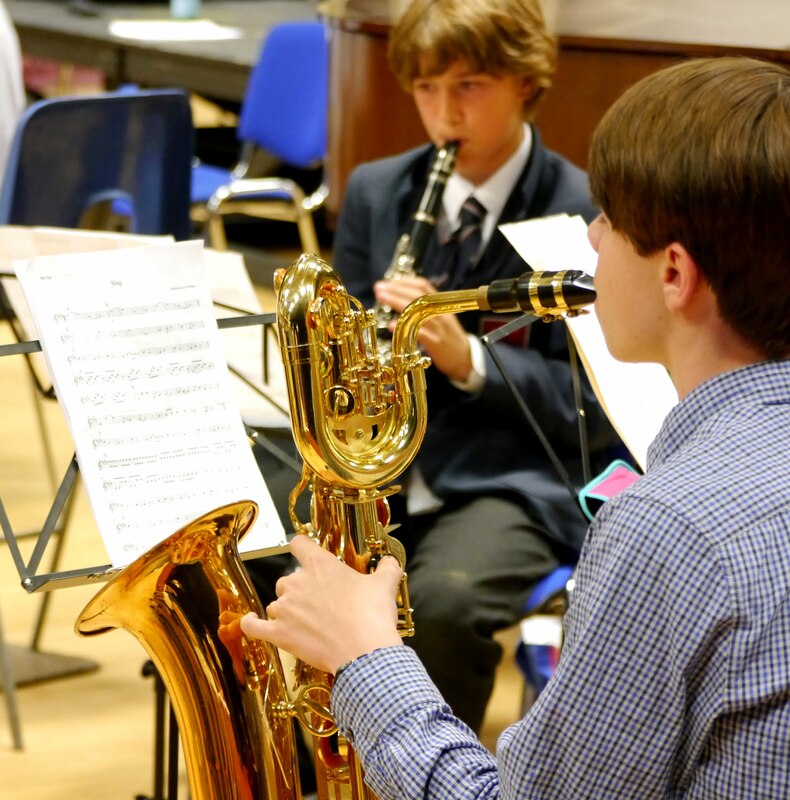 All students are able to take part in public performances of the works they have rehearsed with their ensembles. 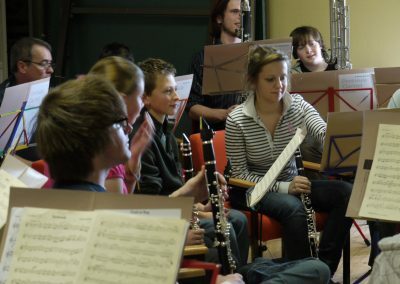 Residentials are held on a regular basis. 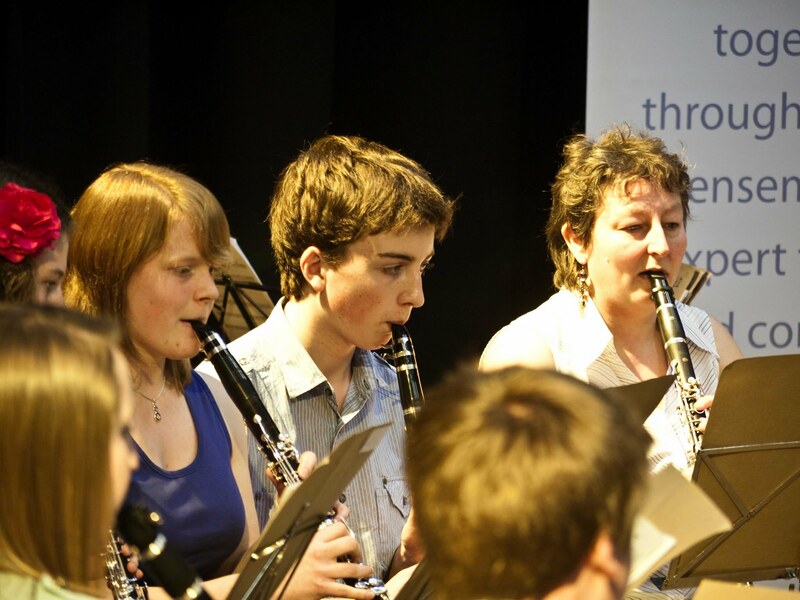 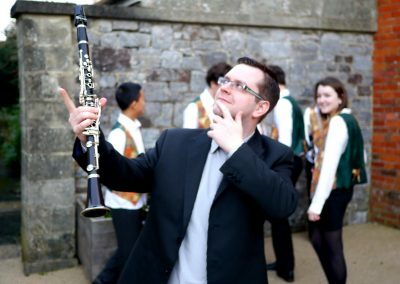 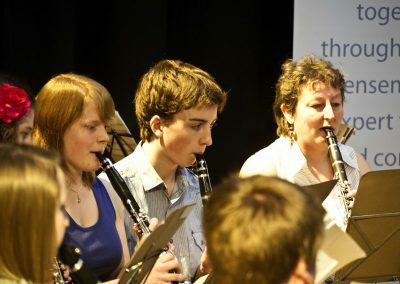 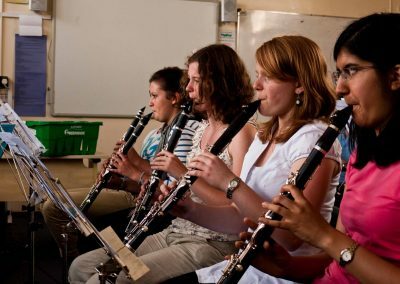 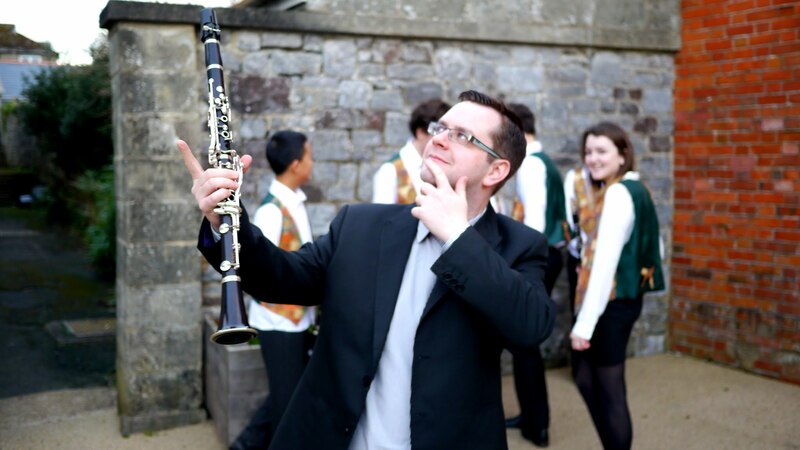 The clarinet choirs, together known as The Peninsula Clarinet Choir, have a residential each year, and take part in the Single Reed day at Wells Cathedral School. 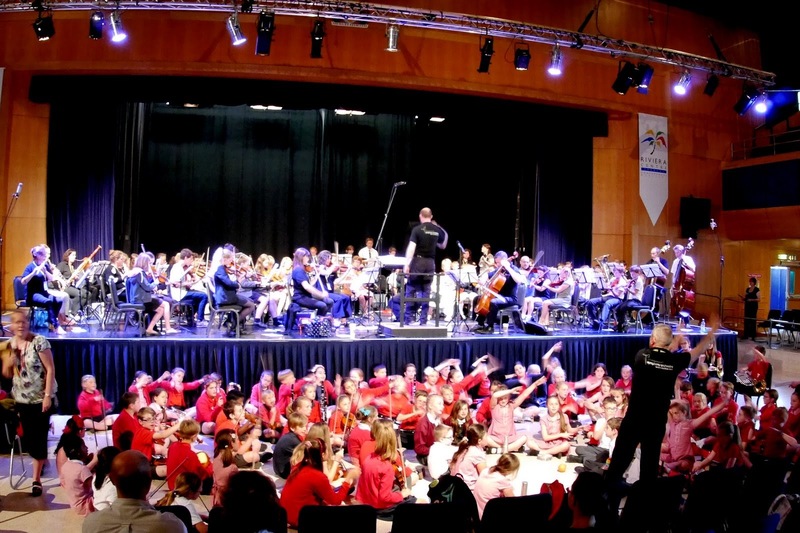 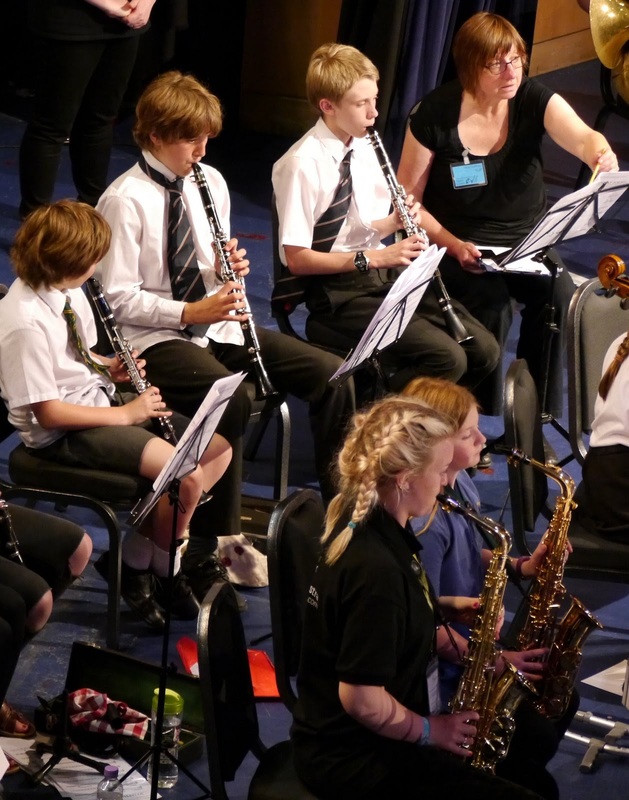 Music Centre groups take an active part in the Torbay Festival of Performing Arts at the Riviera Centre. 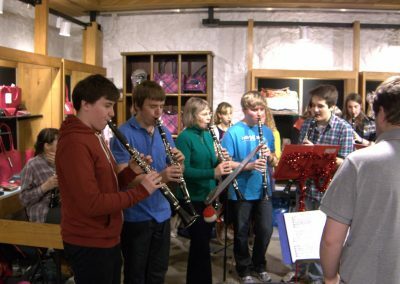 Some groups occasionally take part in other concerts or events such as fêtes and busking at Christmas. 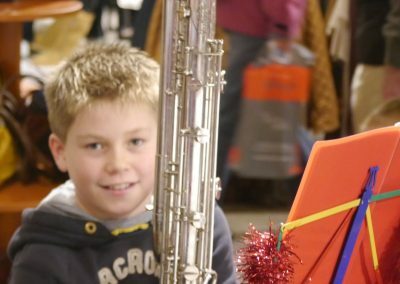 You’re welcome to join us!